Utilize your phone’s speech recognition to quickly dictate feedback. Access your phone’s camera for real time photos or photos you took previously. 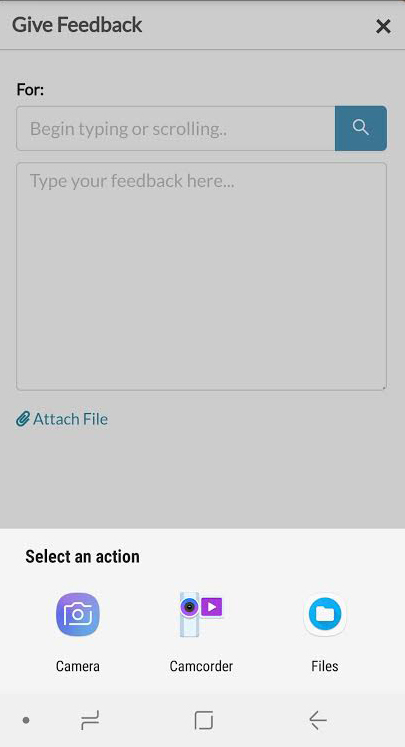 Quickly add files stored on your phone to a piece of feedback. For more information on giving feedback within Threads, click here.